Its the beginning of another week, last full week working at school doing my current job. It'll be Easter holidays after this week is over and then the girl I'm covering for will be back after the break. I'm actually really going to miss it, its challenging and I know I really don't see the best side of the school but I'm enjoying it! 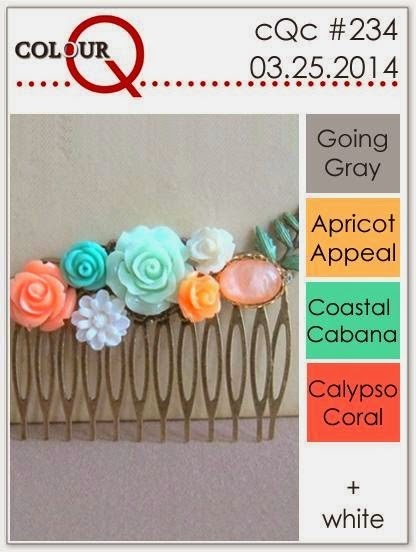 Today I've got a digital card for you today using the Colour Q colour challenge for the week. They just looked really yummy and just like ice-cream colours. 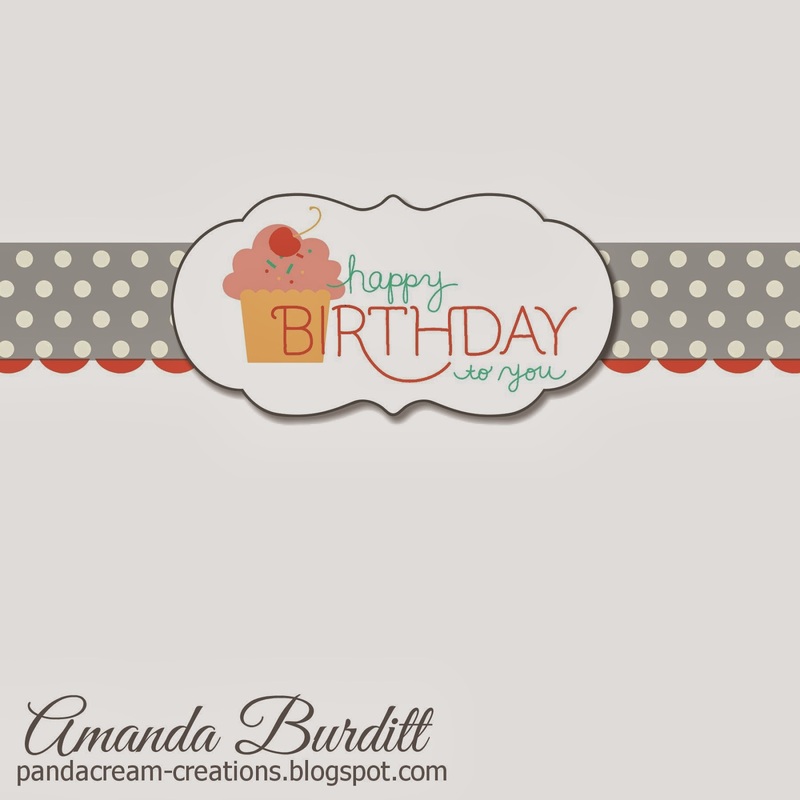 I thought I'd run with the idea of ice-cream and cake and do a light and bright birthday card! I'd had the Sweet Scoop MDS stamp set on my wishlist for a little while so I thought I'd treat myself to it as it would be perfect for the card...I knew I would be using this set again so £2.95 seemed like a right bargain! I stretched out the colours I had by changing the opacity which gave me lighter shades of the same colour. I also lowered the opacity on the polka dot DSP as it was a bit in your face. There's a handy "matt" button on the MDS punches that will allow you to add a matt to the punched shape, I just added a really thin one in 100% intensity grey just for a bold clean line around the punch. Lovely, right? I thought I'd just do a pretty little inside for the card also. Hope you enjoyed another MDS creation. I love being able to sit on the sofa, watching tv with my laptop and create a little something with MDS. 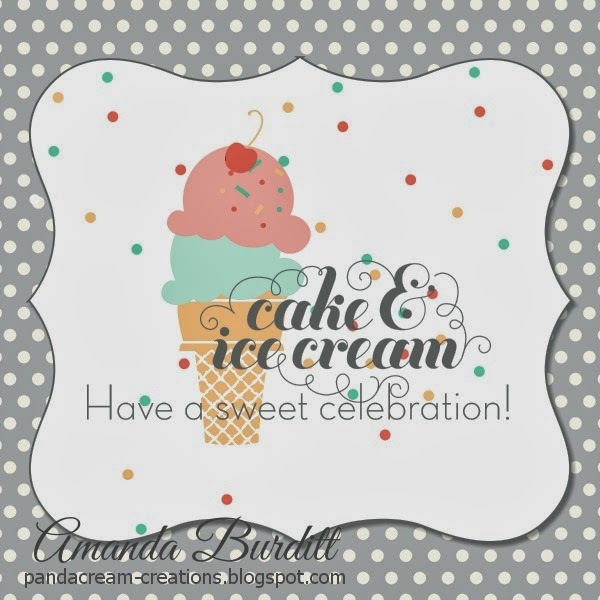 What a fun digital card, Amanda, what better than ice cream to use for these colors! So glad to see you at the colourQ this week.